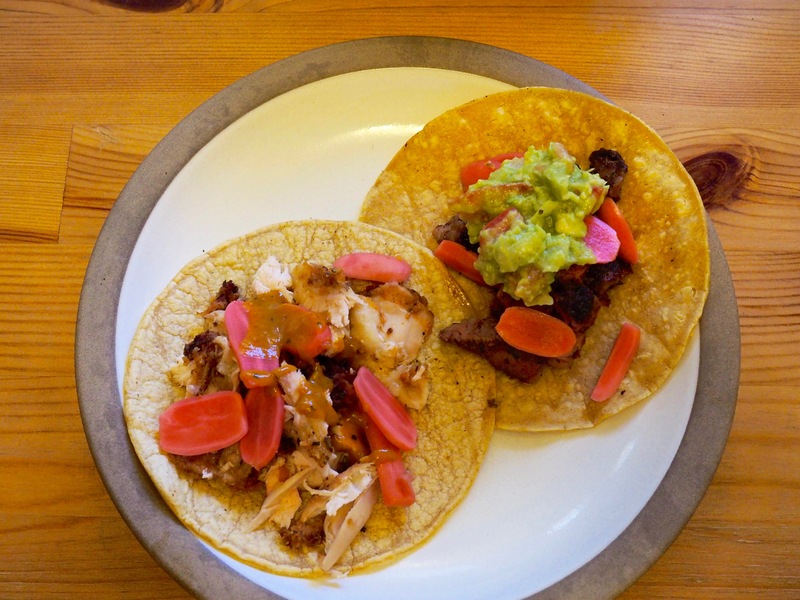 Steak & Fried Chicken Tacos with Fresh Guacamole — Oh Wonderful! What happens when you combine steak, pickled radishes, and fried chicken together? Welp, since it’s Cinco de Mayo week, you make tacos with fresh guacamole! Since three of those recipes have already been crafted (peep them! ), this one’s really about repurposing leftovers, adding something new and making a whole new meal. I guess it’s upcycling, with food. 1. In a small bowl, combine all of the ingredients in a bowl and mash together with a fork. Add more salt, pepper and garlic as needed. Enjoy! 1. In a cast iron skillet or heavy bottomed pan, heat up the shredded meat leftovers from either your chicken or steak, then heat up your tortillas in the same pan. 2. Top off your tacos with some fresh guac and diced pickled radishes. Enjoy!